Air Conditioning - Servicio Técnico Oficial Daikin Málaga. Acontermica. 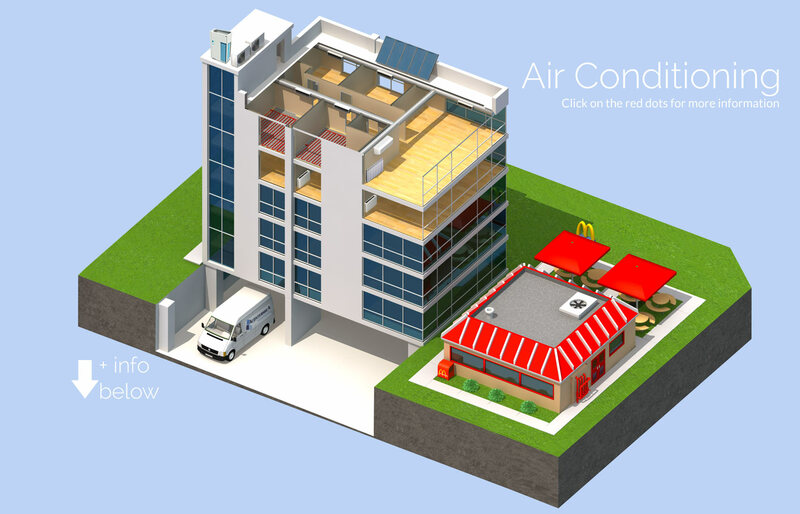 Using highly efficient heat recovery, VRV system offers an integrated approach to heating, air conditioning, ventilation and hot water for medium to large buildings. In this system, the remaining heat from the indoor unit in cooling mode can be reused to produce hot water or heat other spaces, which greatly increases the energy efficiency and reduce carbon emissions. The VRV system offers complete control to provide the correct temperature, the flow of fresh air and the perfect humidity level. 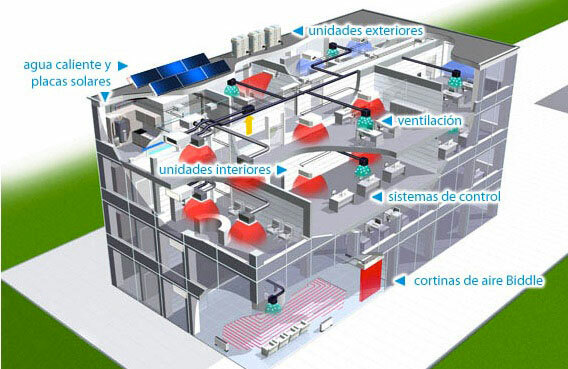 You have the option to control each individual zone, to adjust the setting for each space, in order to manage the energy efficiently, controlling the usage of heating and cooling. VRV offers easy to use control options to ensure efficiency and versatility and you can also integrate the air conditioning into a management system for the entire building. The design and maintenance of this single system allows for integrated air conditioning. The modular design of VRV and the selection of advanced software allow you to select the exact number of units and options to best fit your needs. What elements are included in the VRV system?